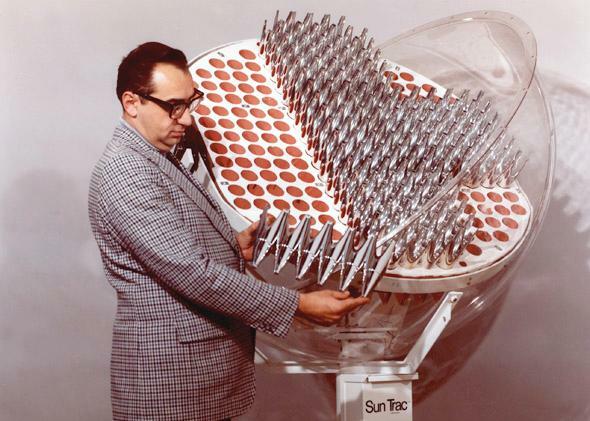 Sun Trac Corp.'s solar capture panels made for Argonne National Laboratory in the 1970s. A solar array, not hair curlers. 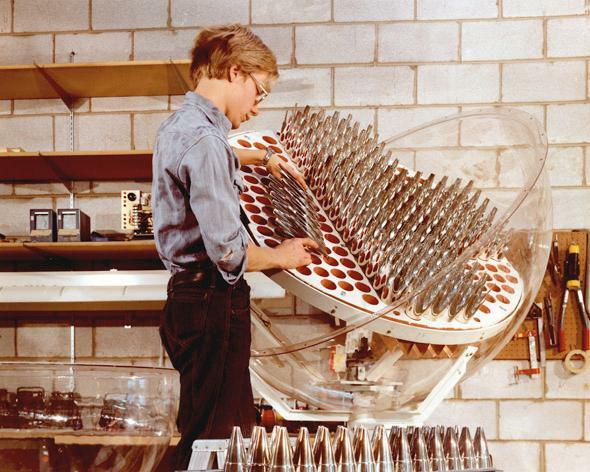 Photo from the Department of Energy. 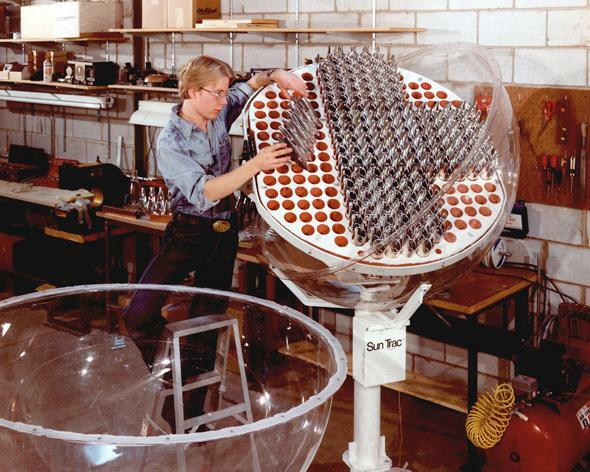 Created for Argonne National Laboratory by Sun Trac Corp. with funding from the Department of Energy, these “solar concentrators” connected to photovoltaic cells to generate electricity for things like heating and cooling systems. Gizmodo, which spotted these photos, notes that their shape allowed them to gather maximum sunlight, even if it was bouncing off air pollution, smog, or haze. The solar industry has come a long way in terms of the cost and efficiency of solar panels, but in terms of looks, they just don’t make ‘em like they used to.